Swami Vivekananda was a prominent spiritual leader who carried Indian philosophy, including Vedanta and yoga, to the West. His travels brought him to the United States, where he gave several addresses at the 1893 World's Parliament of Religions in Chicago—his opening speech on the first day of that gathering is still remembered around the world. 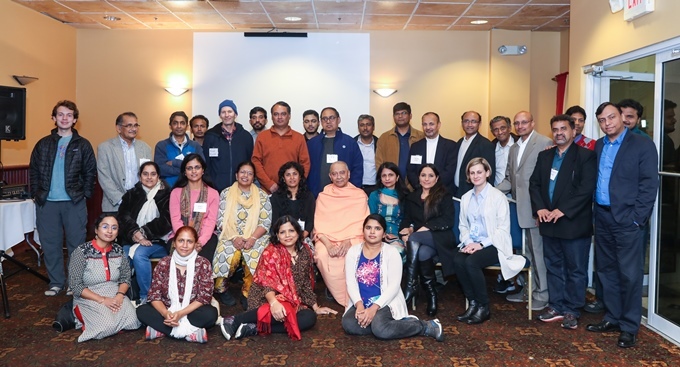 The Indian Professionals Network (IPN) – Atlanta hosted a celebration to mark the 125th anniversary of that famous speech. 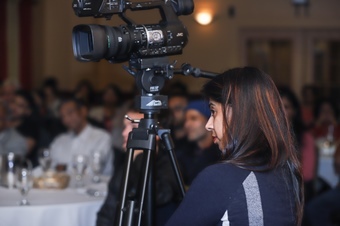 The event was held at Ashiana restaurant in Global Mall, Norcross, on December 20, 2018, and was graced by community leaders from diverse cultures. 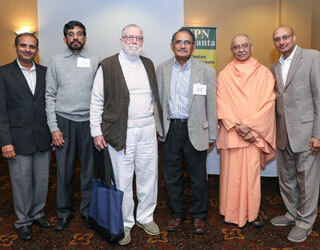 Ravi Ponangi, IPN lead, welcomed the gathering and introduced Brother Shankara, resident minister of the Vedanta Center of Atlanta. Brother Shankara introduced the chief guest of the evening, Swami Sarvadevananda, spiritual head of the Vedanta Society of Southern California. Swami Sarvadevanandaji, gave an informative discourse on Swami Vivekananda and the relevance of his thoughts in today’s world. He said that Swami Vivekananda started a dialogue between East and West that has continued to this day. He wanted to bring the spiritual treasures of India to the West and the scientific achievements of the West to India. Swami Vivekananda made a huge impression in America. He was an awakened Indian, said the speaker. He also made a great contribution to the Indian freedom movement and was an inspiration to our national leaders. Read Mahatma Gandhi, Netaji Subash Chandra Bose, Aravind Ghosh, and others who declare their great indebtedness to Vivekananda. Mahatma Gandhi said he had come to pay respects to Swami Vivekananda when he visited Belur Math, the headquarters of Swami Vivekananda’s Ramakrishna Math and Mission. Swami Vivekananda brought tremendous energy to India, said the speaker, and also made a tremendous impact on the world. His visit to the United States was to bring the ancient wisdom of India and to preach Vedanta. He brought an Upanishadic message to America. “Shrinwantu vishwe amritasya putra- Arya dhamani divyani thasthu Vedam ayetam purusham mahantam aditya varanam tamasa parasthath Tvameva vidhithva atimrityu methi, nanyah pantha vidyathe ayanaya.” Men and women of the whole world, you are children of divine bliss. This was said in ancient times—we are not this mortal body. We are divine and ought to behave like a divine entity. Swami Sarvadevananda said that the Indian spiritual tradition teaches that God permeates everywhere and is in every being. Swami Vivekananda did not come to America to preach dogma, but to teach universal religion. 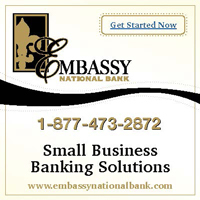 The Congress was an initiative of the Swedenborgian layman, and judge of the Illinois Supreme Court, Charles C. Bonney, to gather all the religions of the world, and show "the substantial unity of many religions in the good deeds of the religious life." Swami Vivekananda began his speech with "Sisters and brothers of America! "—and received a two-minute standing ovation. Sailendra Nath Dhar said, "it was only a short speech, but it voiced the spirit of the Parliament." Vivekananda’s speeches had the common theme of universality, emphasizing religious tolerance. Swami Sarvadevanandaji said that Vivekananda daringly said that no religion was superior, and all the streams would meet eventually in the ocean. His guru Sri Ramakrishna practiced all faiths and stated that he reached to the same goal. Whatever Swami Vivekananda said is nothing but Upanishads. Upanishads declared all power is within you. Vivekananda urged everyone to be a man of character, to learn how to concentrate and focus. He saw education as an important medium to empower people. He came here to preach humanity, world religion, world culture. His message is universal and can be taken by anyone. Swami Sarvadevananda appealed to the gathering to keep small books like Thoughts of Power in your pocket, read them, and see how you can improve your life. In sum, the speaker said that Vivekananda stands for universal religion, harmony of religions, for courage, strength, positivity, and women’s empowerment. Swami Vivekananda said man is responsible for all ills of society. Swami Vivekananda said he had seen democracy, socialism, and all isms, but humanism is for a man of character, so character building was his mission. He said to trust in yourself and in God. Some attendees with Swami Sarvadevananda. (Right) Anjali Chhabria of TV Asia covering the meeting. IPN was established in November 1993 to bring together information technology professionals, doctors, and other professionals by focusing on objectives of professional education, networking, socializing, and community service.